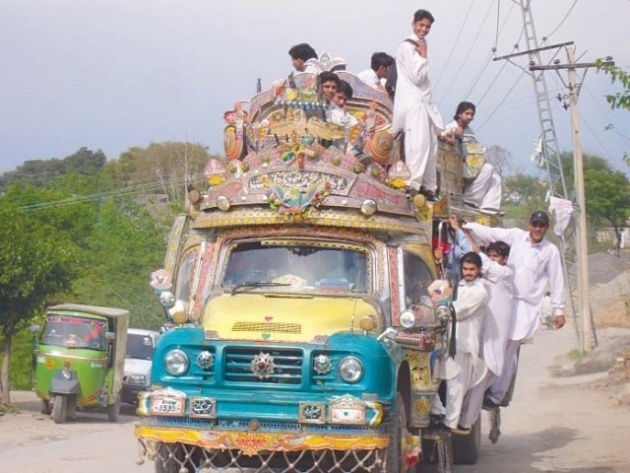 Overloading of vechicles is becoming main cause of accidents in Pakistan. Many innocent lives have been wasted because of this careless activity. Almost 90% of public transport owners are willing to overload their vehicles for extra income. Their lust for extra income is causing damage not only to their own vehicles but we are losing precious lives in it. Killing of people for money is a serious crime. Bus drivers and local van drivers are on top of the list in committing this crime. I remember my college life when I was used to climb on back of the bus or sit on top of the roof. At that time it was like an adventure and fun. But now I realized that it was one of the dangerous things that we did at that age. 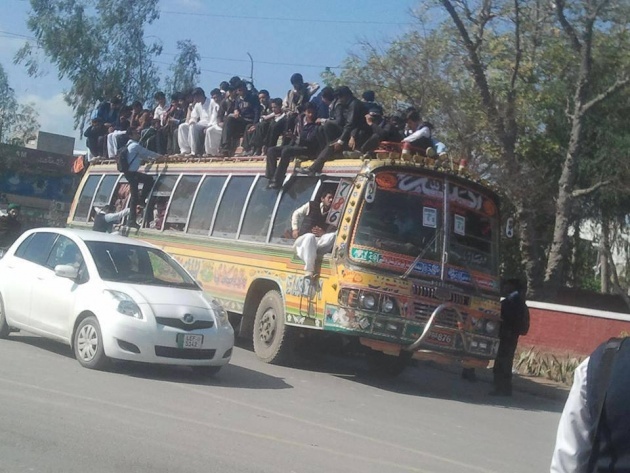 Bus drivers allow students to travel on roof of the bus for half fare. Students fall in their trap to save their pocket money. Parents also ignore this activity because they also travel in overloaded vehicles knowing that it's risky. Many people says that they got no choice to travel in an overloaded transport because they are getting late from work. People don't like to wait in this busy world. Vehicle owner don't realize that this overloading is causing damage to their vehicle as well. Everyday in newspapers we read about accidents due to overloading. 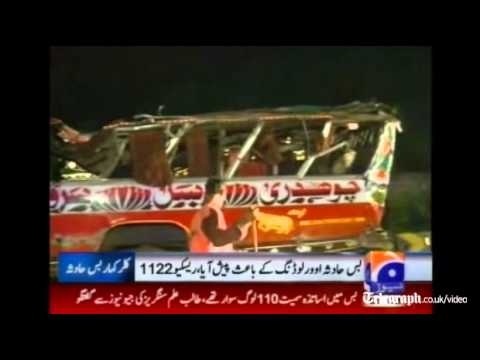 Below image reflect the news by local TV channel about one of the biggest accidents to students bus in Pakistan. Government and Traffic police should take some serious steps against this act. They should ban and charge heavy fine on vehicle owners who are involved in this crime. Also people and students should avoid to travel in overloaded transport. We need to start from ourselves if we want to bring a change. 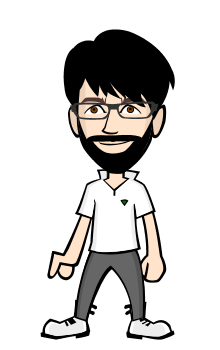 Name Nouman Khan. Born July 25 1986 in Abbottabad Pakistan. Works at District & Sessions Court, Haripur. 'People don't care how much you know until they know how much you care'. Filmannex provided a platform to share my thoughts and work with the world. due to over loading every year lots of people lost their lives.